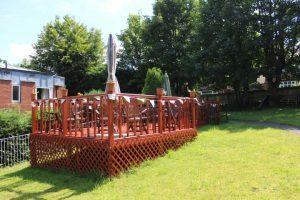 A home from home, delicious dining and a place to socialise. Here at Nazareth House Birkenhead we acknowledge the importance of retaining individuality. We encourage our residents to make their personal spaces as homely as possible, adding personal touches to our already beautifully furnished bedrooms. Family photographs, souvenirs and other unique items help us to get to know the individual better and make for great conversation topics! 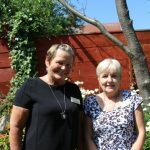 Our activity co-ordinators, Irene and Sue, work hard to create events and activities that strengthen relationships and friendships throughout the house. Developing interests and hobbies is a wonderful thing and we encourage suggestions from residents. As is only expected from the people of Merseyside, the feeling of fun and positivity is palpable throughout the home, something we encourage and thrive on. 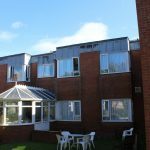 We boast spacious and attractive social areas, private and peaceful conservatories and idyllic garden areas for relaxation and chatter. 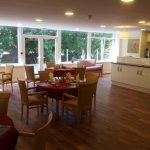 At our house you can enjoy three nutritious and appetising meals a day with great company in beautifully decorated dining rooms. There is always a rotating menu that offers a diversity of choices, with a range of soups, salads, fresh fruits and breads that can always be paired with your main meals. Most importantly, there is always a range of choices for those with specific dietary requirements. Tea and coffee, along with a variety of snacks, are readily available throughout the day.